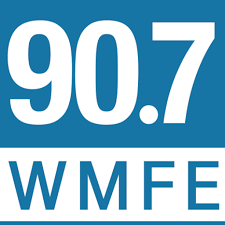 WMFE is Orlando’s NPR news station. We’re looking for a talented, enthusiastic, reliable, results and detailed oriented Host/Reporter. Responsible for anchoring local news segments as the local voice of network programming. Must have experience as an on-air host, reporter and producer in broadcasting. Strong public speaking, writing, interviewing, production, and editorial skills are a necessity. Must be able to conduct both live and recorded interviews during on-air-shift, generate story ideas, put together spot news and feature news reports. Must embrace working under tight deadlines, working independently and as part of a team. Air shift may vary depending on needs of station management, including but not limited to weekday mornings, midday or evenings (to include holidays). Off-air appearances on behalf of the station are expected and duties also include on-air fundraising. Seeks out new voices to appear on air, and develops local and national contacts for breaking news sources. Gather sound and conduct interviews. Serve as "first responder" in breaking news situations. Strong editorial and interviewing skills are a necessity. Bachelor’s degree in Journalism or similar field from an accredited college or university and at least five years of editorial oversight or applicable newsroom experience. Proven record of accomplishment in news coverage, newsgathering, news writing and news anchoring/reporting in radio or television. Demonstrated organizational and time management skills, and interpersonal skills. Ability to conduct both live and taped interviews during on-air shifts, as well as generate story ideas and put together both spot news and feature news reports. Ability to respond to rapidly changing news events. Must be able to handle breaking local news during regular on-air shifts and host special programming. This position will have high visibility within the Orlando area. Willingness to take part in on-air pledge drives as well as community-related events. Preferred knowledge of running an on-air radio control board. Must have excellent and proven ability to edit.